If you live in a hurricane zone, then you already know what kinds of damage a hurricane is capable of wreaking on your life. The fact is, no one can be 100% prepared for a hurricane; they are just too unpredictable. 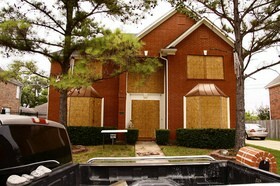 But there are things you can do to lessen the damage that a hurricane can cause. #1 Know exactly what you have inside your home. With all the stuff that people collect, you may think it would be impossible to know every little thing that is your home, but this is not as hard to do as you might think. Rather than trying to write everything down, consider videotaping each room instead. Be sure to open drawers and boxes and videotape what is inside them. This will allow you to have a record for insurance purposes — in the event that your personal property is destroyed or blown away. It will also give you a better idea of the things you need to replace as well. #2 Pick up all items outside that could become projectiles during strong winds. 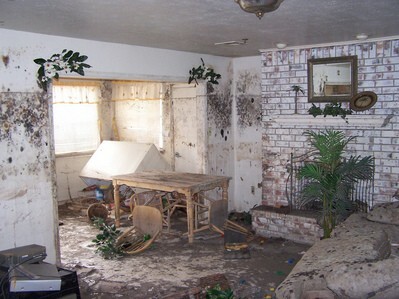 Anything lying around loose can become a projectile and cause damage to your home and to others. By going around and picking up (or securing) items like garbage cans, bikes, and children’s toys, you will hopefully lessen likelihood of those items hurting someone or becoming destroyed during the storm. #3 Be prepared for your power to go out. If you live in hurricane country, it is a good idea to have a generator in the event the power goes out. Since 9 times out of 10 you can just about guarantee this is going to be the case, a generator could be the difference between being able to cook and clean, and not being able to after the storm has passed. #4 Trim your trees before the hurricane arrives. It is very easy for a loose branch (or even small branch) to become a projectile during hurricane force winds. You do not want any branches from your trees destroying your property or anyone else’s. By trimming tree branches that can be easily broken off before the hurricane hits, you can minimize the damage. If you don’t have time to do it, or you are otherwise unable to do it yourself, there are businesses that will come and take care of your tree trimming for you. #5 Clear out your gutters and drains to prevent flooding of your basement. Full gutters and drains can just maximize the damage that a hurricane can cause. That’s why it’s wise to take some time before the storm hits to make sure yours are not clogged or full of debris. Clogged gutters would lead to severe flooding in your basement and damage everything you might keep down there. #6 Prepare your home’s windows. Purchase plywood that’s 5/8 to 3/4 of an inch thick, along with some heavy duty bolts. Cut the plywood so that it will fit completely over the window, and then bolt it to the frame of the window. #7 Make sure all doors to the outside are attached by at least 3 hinges. And make sure that your doors are firmly and securely attached to the frame of your house. If possible, it’s also a good idea to have doors that open outward rather than inward. If doors are not securely attached to your home, hurricane force winds can easily blow them open and even break them off their hinges — which would suddenly make your door not only a projectile, but it would then allow the storm inside your home to wreak further damage as well. #9 Store all important papers and such offsite. Important papers are often the first things to go when a hurricane strikes — due to the flooding and high winds. It’s always best if you live in an area that is prone to hurricanes that you to keep all your important papers off site at your bank in a safety deposit box. If you live in a hurricane zone, then flood insurance should be a given. But it’s pretty amazing how many people think they don’t need it. Also, many people don’t realize that most homeowner policies do not include flood insurance. So while you may think that you are covered for damages caused by flooding, you could find yourself flooded with no damage coverage at all. Unfortunately, this is not something that you can just decide to buy right before a hurricane either. Flood coverage has a 30-day waiting period and usually provides only minimal coverage, so it’s best to buy flood insurance now before the storm hits, rather than right before. If you prepare ahead of time, the minute you know that a hurricane is coming, you will be much better off than if you hadn’t prepared at all. Saving some of your property is better than losing all of it!